By Melissa Lennig on August 7, 2017 Leave a Comment. This content contains affiliate links. As an Amazon Associate I earn from qualifying purchases. 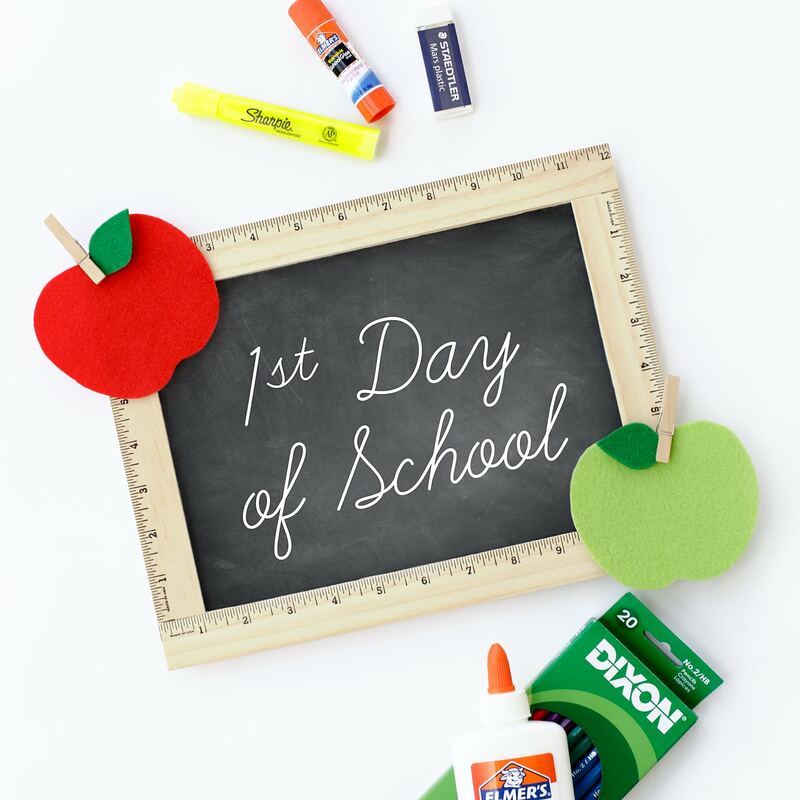 Inside: Learn how to make an easy DIY First Day of School Sign. It’s the perfect back to school photo prop for kids! Kids heading back to school soon? 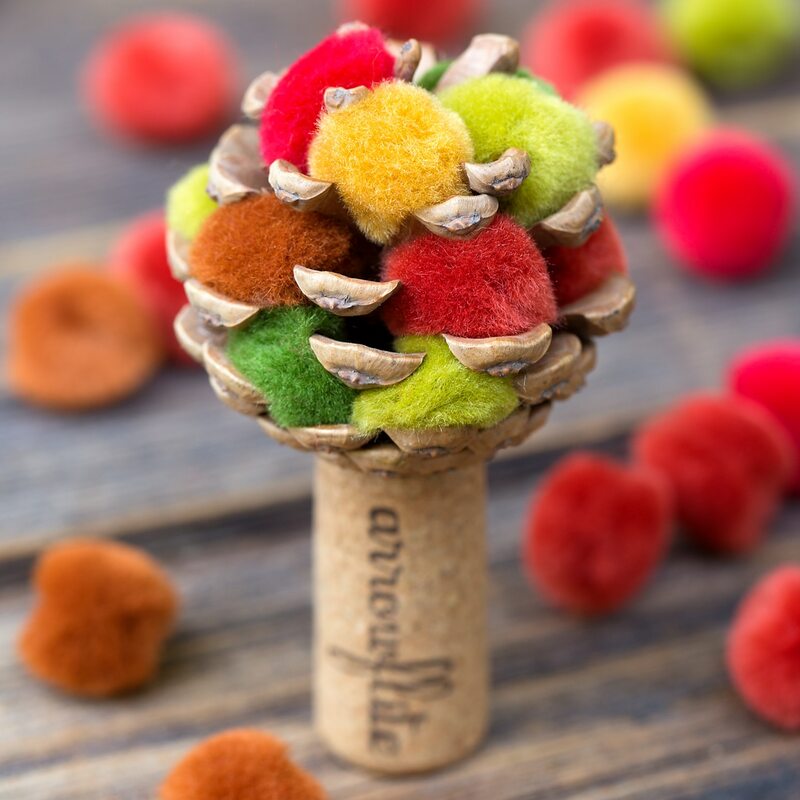 Maybe you’re a teacher looking for a cute way to welcome students to their new classroom? 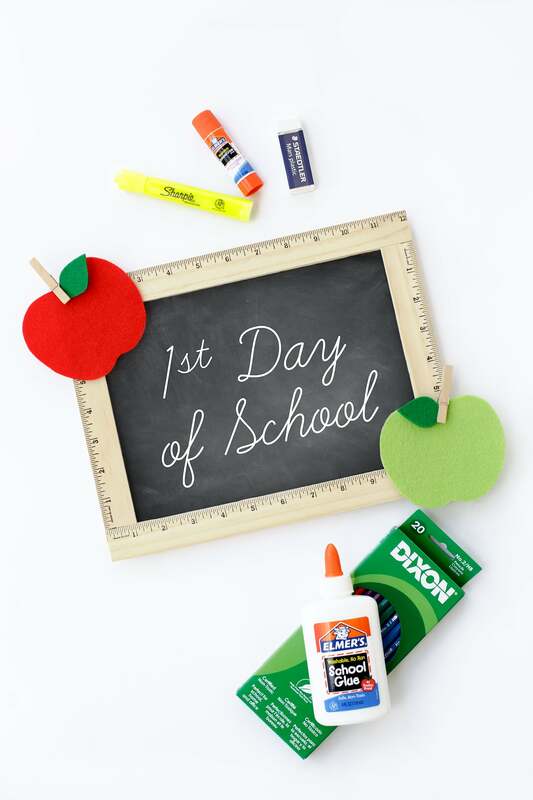 Either way, this First Day of School Sign is easy and fun to make. 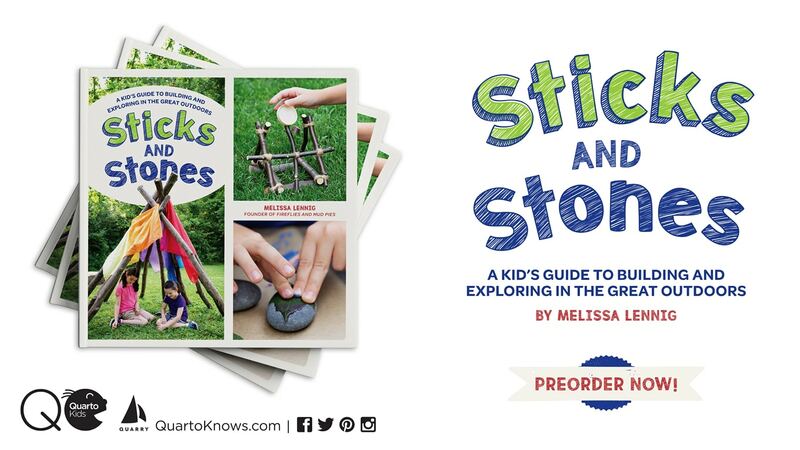 Kids will love holding it for those traditional “Back to School” photos that parents cherish! As a former Elementary School Counselor, I remember many of the teachers I used to work with photographed their students holding a 1st Day of School Sign. They would print the pictures, then send them home to their students’ families. How fun and thoughtful! This sign is perfect for home or school use. I found all of the supplies at my local craft store. 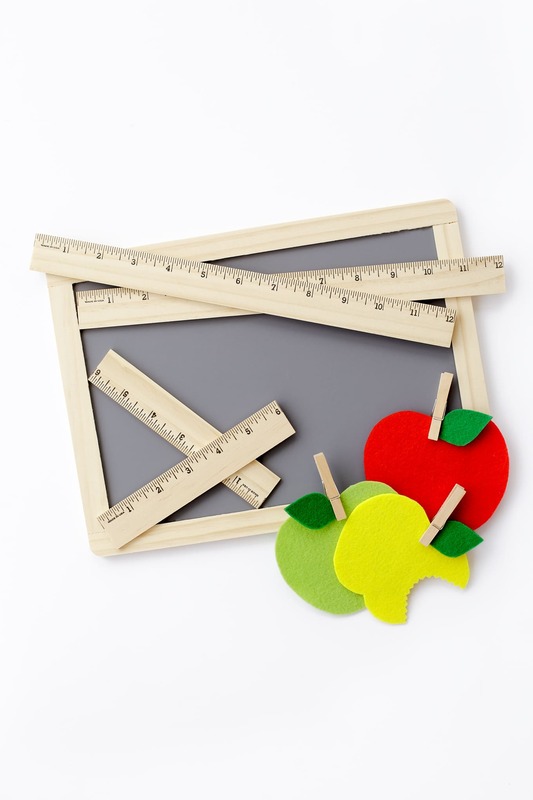 After gathering supplies and creating your felt apples, begin gluing the rulers to the chalkboard. 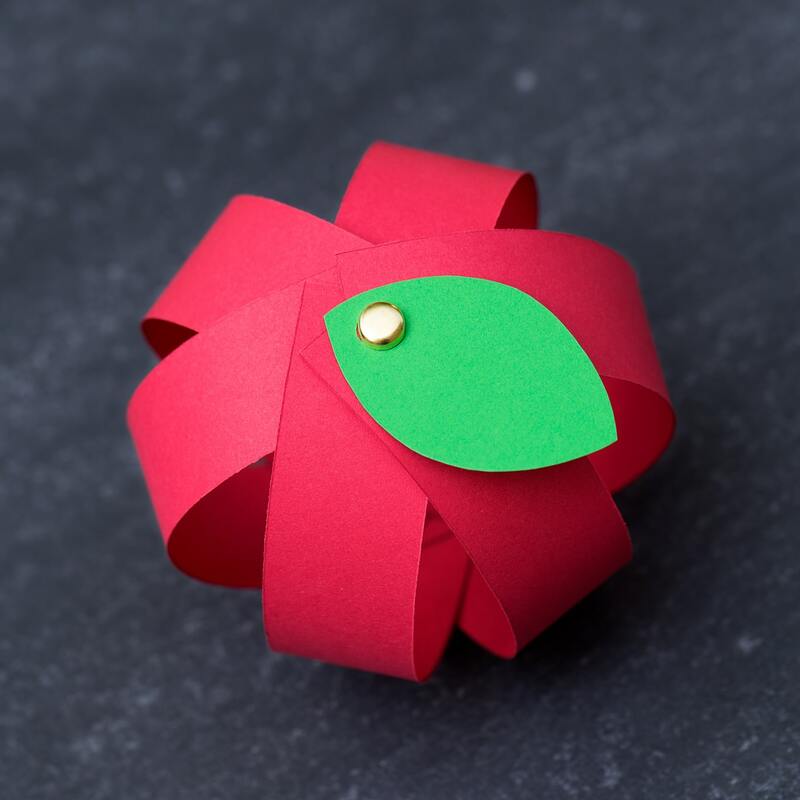 I used standard white glue, but tacky craft glue or hot glue could be used as well. 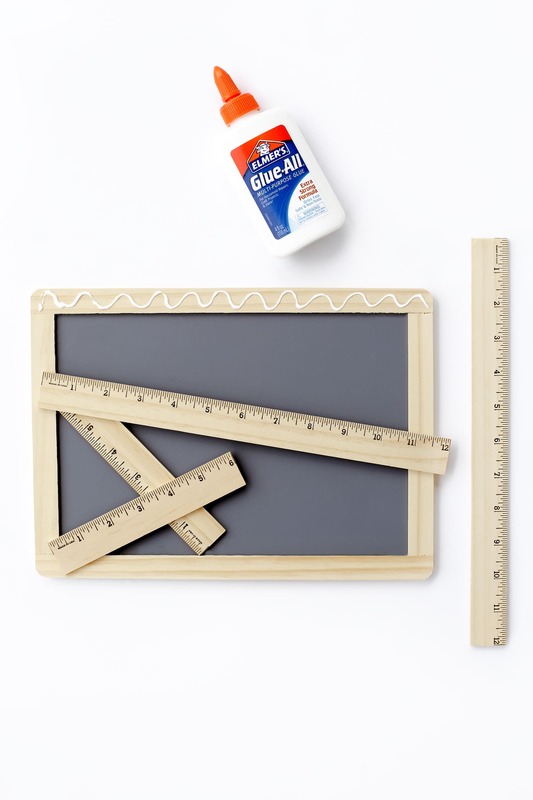 Place the 12″ rulers horizontally on the chalkboard and the 6″ rulers vertically. If the rulers do not match up perfectly, simply leave the gaps where they will naturally be covered up with the felt apples (top left and bottom right). Glue the felt apples to the top left and bottom right corners of the sign. 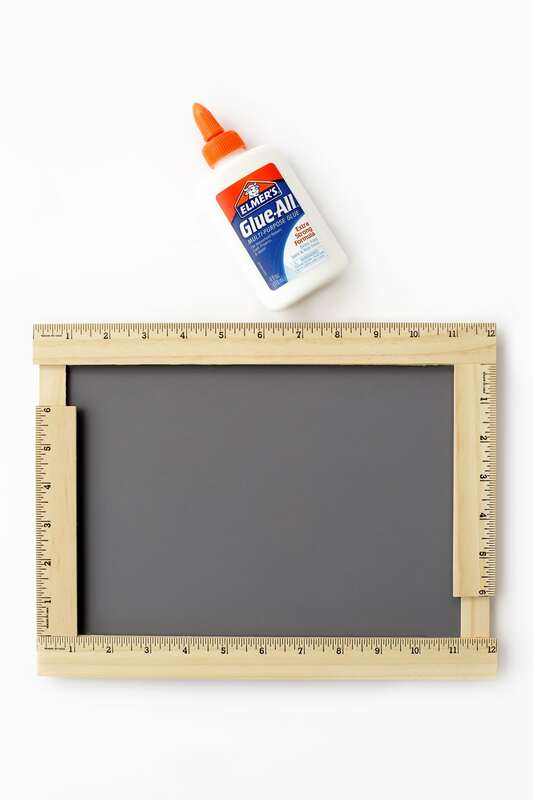 Allow the glue to dry completely before writing “1st Day of School” and photographing a child holding the chalkboard.